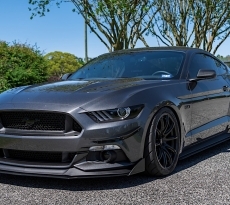 By now you’ve probably noticed the S550’s fastback and lean and mean design lends itself very well to aggressive spoilers in many forms, and one of the better looking alternatives we have seen is the new HCM Carbon Track Pack Spoiler. The HCM Track Pack spoiler is available in both fiberglass and carbon fiber, the former option which comes in a primer grey finish that can be easily painted or wrapped to the color of your choice. 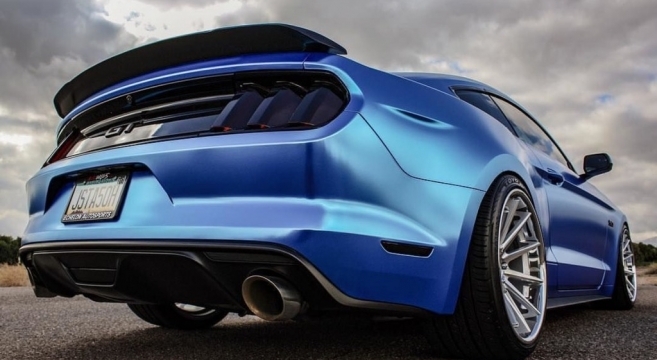 This stylish ducktail spoiler is constructed from high quality 2×2 twill carbon fiber and has a UV-protected clear coat to prevent yellowing so that you get a long lasting carbon fiber look. 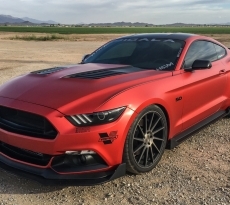 Check out the HCM Carbon Track Pack Spoiler for the 2015-17 Mustang in our forums.